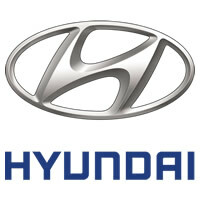 Hyundai, a South Korean brand of automobiles, was established in 1960's. It marked steady progress in the last few decades and is now part of the Hyundai KIA Automotive group. The motor company has been very successful entering the European and American markets. The company built assembly lines to match its size, the manufacturing facility in Ulsan being able to produce 1.6 million units per year. The motor company was found by Chung Ju Yung who belonged to a poor family of farmers. The Hyundai motor company was registered as the first Korean car company. The idea of not establishing a motor company was provoked by the post wars and some political ideas which preferred importing rather than having a Korean brand. Yung was intelligent and quick enough to fill the empty space by raising funds from his highly profitable construction business established in 1947. Only after a year of Hyundai's establishment, the company signed a major technology sharing contract with Ford in 1968. The company soon was able to launch its first product namely "The Cortina", it was not long when "Pony", Hyundai's first purely Korean product was released. The reproduction however, used Japanese technology from Mitsubishi. However, the Japanese were fast enough in developing a large variety of models and had already started exporting it globally, mainly to the United States and South America. Pony was the first model of Yung's company which was shipped abroad in 1975. In 1986, the Hyundai launched the Excel. This innovative model was the first to be exported to the States. It marked great success as the firm enjoyed abnormal profits. The reasonable price culminated in great fame and sales as in the first seven months only the Excel marked sales over 100,000 units. After this, Hyundai used its own technology to launch the new model. The first self-made model was then released The Sonata, a mid-seize car. It marked the beginning of a new era. This model, however, didn't prove successful for the company as the customers had complaints regarding reliability and poor quality. This somehow spoiled the reputation of Yung's firm. In the 90's the company struggled and was not able to somehow export its product to America. It made large investments in new designs and technology, but failed to mark progress. Once again Yung's firm gained confidence of the buyers and made large sales. Noting the reliability issue, the firm took concrete steps in rehabilitating the consumer image. It gave a 10 year warranty to the US sold vehicles and made their way in the top 10 car manufacturers. Hyundai is currently operating in 193 countries with over 5000 showrooms and dealerships to sell its product. The increasing sales have improved the image, as the brand is amongst the top 100 valuable brands. The firm is well known for its investments in technology and advertisements. Indeed, communication is one of the strongest point of the firm, the logo "H" only suggests two men the buyer and customer shaking hands.